About a month ago, I was out for dinner at my favorite restaurant in Manhattan—Il Buco on Bond Street. With its Tuscan barn-like aesthetic, it’s as if you’ve stepped into an Italian farmhouse. Chandeliers are made of old metal oil cans, kitchen tools and copper arms. Mismatched chairs surround cozy wood tables. And folklore even has it that the mystical wine cellar inspired Edgar Allen Poe’s “The Cask of Amontillado.” To top it off, chef Ignacio Mattos stocks the restaurant with food from all sorts of local and organic markets. There&apos;s only one thing better than the ambiance (and the vino)—the black kale Caesar salad. During dinner, my brother-in-law rolled his eyes when I suggested it. A little backstory: I&apos;m the vegetarian of the family. You know, the non-meat eater. "Of course. Right. Black kale," he said. "I can&apos;t wait to order my raw black kale." He wrinkled his nose. The dish was swathed in reggiano parmesan cheese flakes and giant croutons. 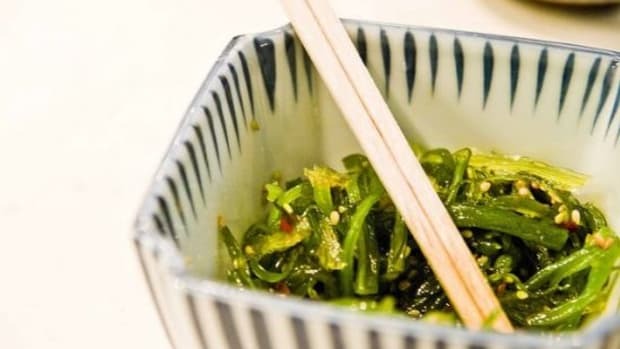 First, just let me say that not every leafy green will work in a salad—in fact, I don’t particularly love the texture of curly green kale. 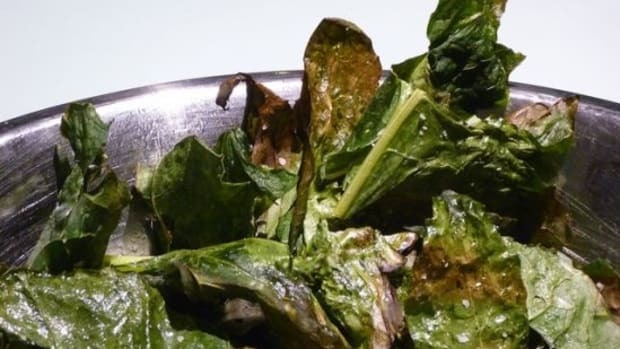 Black kale is crunchier and lumpier, resembling a bluish-black version of romaine lettuce, than its stringier green leaf cousin. 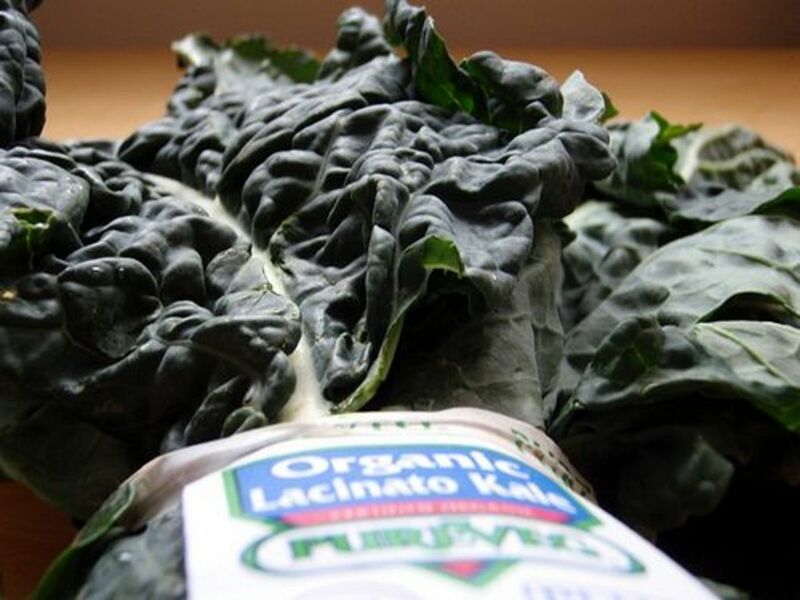 In my supermarket black kale is called dino kale, but it also goes by Tuscan kale, lacinato kale (lacinato means “uneven,” referring to the bumpy texture of the leaves) and the sultry sounding cavalo nero. 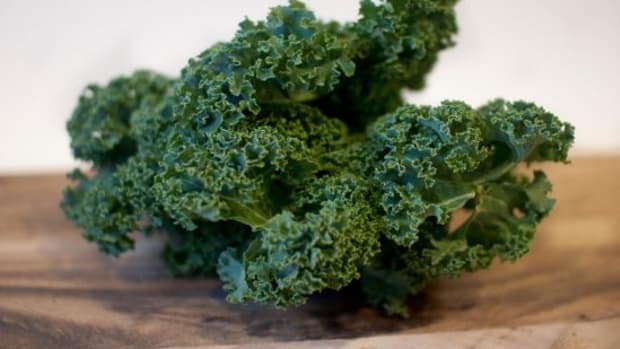 What’s the nutritional value of kale? 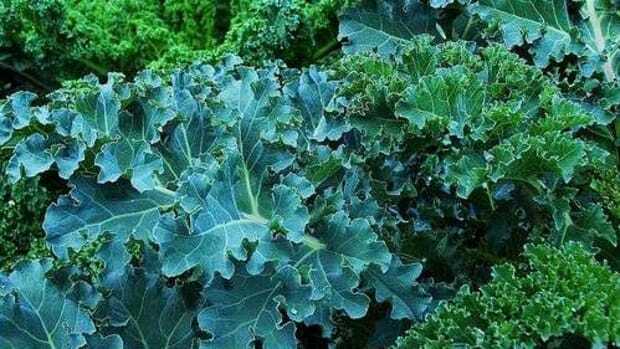 A power-house packed with vitamins K, A and C, kale is also high in omega-3s. Some nutritionists even believe that kale, because of its anti-inflammatory properties, can help rid acne and fight prostate cancer. Trim bottom stem off kale and toss out. Slice the kale into ribbons about an inch wide. Mix all ingredients in large bowl except olive oil. Whisk olive oil in mixture. Add most of the cheese. Save some for topping. 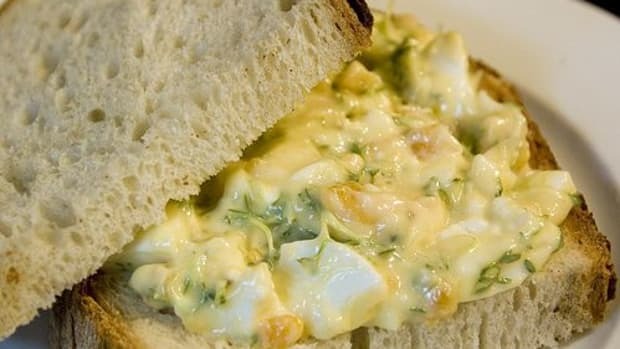 Mix and serve with fresh cheese shavings. 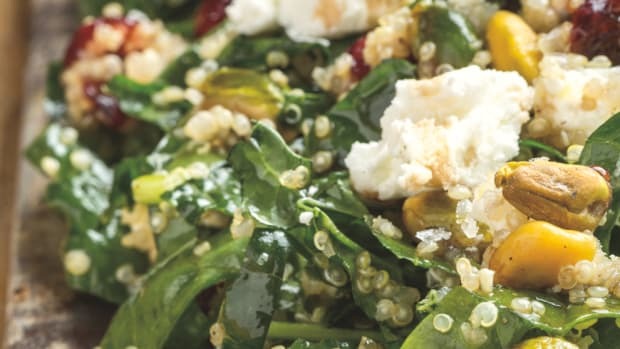 Add croutons (recipe below), and enjoy! Puree all ingredients (including ingredients from above) in a blender or food processor. Mix olive oil, herbs, salt and pepper. Tear bread into one-inch chunks, toss with mix. Spread out on large pan. Bake until golden, about 15 minutes.